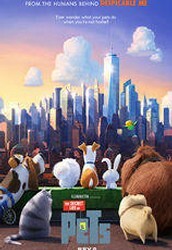 Despicable Me 2 director Chris Renaud takes the reins for this Illumination Entertainment production centering on the adventures of a privileged inner-city terrier who teams with a spirited mongrel to prevent a sinister bunny from assembling an army of abandoned pets to stage a massive uprising. 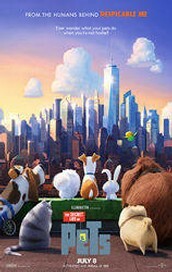 THE SECRET LIFE OF PETS !!! JOIN US FOR SOME SUMMER FUN AT THE MOVIES! An adult chaperone must stay on-site for all PA Virtual events. All PA Virtual events are smoke-free. Pets should never be brought to PA Virtual events. To limit the spread of possible flu, please do not attend a PA Virtual event if you have had a fever within 24 hours of the event. 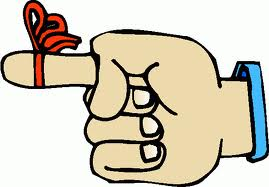 In consideration of our students with allergies, please refrain from bringing balloons or food containing nut products.